What Goes On In Your Town? I may have mentioned this book before, not sure, but I just finished it this week and am still intrigued. Mainly, I guess because I was in and around Austin, TX during the 1960s. No, I didn't moved to Austin until the last 60s and then only for about 16 months. I moved here for twelve years beginning in 1987. My Dad and Bonus Mom moved to Austin in 1957. They both worked at the State Offices of the State Employment Commission (now known as Texas Workforce Commission.) And because my family lived in Austin, I visited often. I'm sure I knew like most people that Austin had a certain criminal element, but Organized Crime? Mr. Sublett's true crime book is outstanding for the history buff and for the crime writing gang. Okay, the Austin mobs weren't exactly like the old Italian mobs I've read about in crime stories and saw in movies like The Godfather. But the elements of crime were organized even if it could be considered a rather loose organization. Mr. Sublett says it was called a White Trash mafia. Two high school football players, Tim Overton of Austin TX had every thing a young footballer could ever hope or dream for and yet threw it all away for a life of crime. Tim Overton a youngster from the wrong side of town whose mother died from a brain tumor when he was a senior in high School was a big offensive guard and Mike Cotton,a running back. from the more affluent side of town both received athletic scholarships from the new head coach Darrel Royal. Mike Cotton stayed out of the crime business, but Tim was drawn deeper and deeper into that world. Tim Overton didn't just go nuts after his mother died, although some people thought he was really never the same. He did go on to college and was making decent grades that first year. After his first problems with the police, Coach Royal helped Tim and gave him more than one opportunity. Overton idolized Coach Royal and felt the coach turned his back on him. Probably harder on the coach than Tim Overton ever realized. Before long, Tim and his associates or crew were driving Cadillacs, wearing diamond pinkie rings and running roughshod over prostitutes, pimps, banks and small businesses. Tim was involved with crooked lawyers, pimps and used car dealers. Smuggling and prostitution rings were high on the White Trash Mafia's plans and crimes. Murder often came into play and trying to outsmart the police was a big order of the day. Mr. Sublett has done fantastic research, with court transcripts, police files, Austin History Center files, talking to people who were around then and knew the players. He was able to also come up with photos of the players, their families, their victims and suddenly you realize while you're reading that you are totally involved with this story. Not to romanticize these criminals, but to be interested in the history of a town you've been in and around for over fifty year and a history you actually weren't aware of and in a way surprised about it. If you have a chance and are interested in the history a small time frame of the capitol of Texas, I strongly advise you to pick up a copy of 1960s Austin Gangsters by Jesse Sublett. 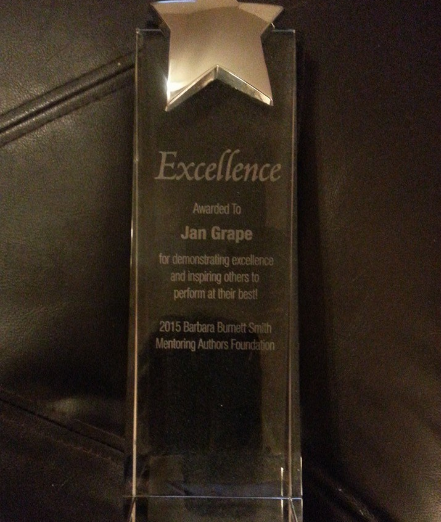 A little personal note: Here's a photo of the beautiful Sage Award that was presented to me on May 17th from the Barbara Burnett Smith Aspiring Writers Foundation. It's lucite and has a silver colored star on top and is engraved. My picture wasn't the best but I think you can get a sense of it. As soon as I saw my fellow SleuthSayer, Dale C. Andrews post for Sunday, I knew I was on to something. I'd been wracking my brain for days to come up with something to write about today. Suddenly, I found myself staring at a stack of books on the lamp table next to my perch on the sofa. I'll tell you my reading pile this week and you tell me yours, Just a quick note on this Mother's Day to clue everyone in on what a fantastic and versatile group of writers who keep this site going each day. I knew there are award nominees and winners here and I thought it might be high time we tooted our own horns. So in no particular order check out these your daily sleuth sayers. Eve Fisher: Her short story, "A Time to Mourn" was shortlisted for Otto Penzler's 2011 Best American Short Stories. John Floyd: won a 2007 Derringer Award for short Story"Four for Dinner." nomination for Best Local Mystery book on the History of Hampton, CT now my home town. Dale Andrews: My first Ellery Queen Pastiche, "The Book Case," won second place in the EQMM 2007 Reader's Choice and was also nominated for the Barry Award for Best Short Story that year. Rob Lopresti: I've been a finalist for the Derringer three times, winning twice. I won the Black Orchid Novella Award. I was nominated for the Anthony Award. Paul D. Marks: won the SHAMUS AWARD for White Heat. Nominated this year for an ANTHONY AWARD for Best Short Story for "Howling at the Moon." David Dean: his short stories have appeared regularly in Ellery Queen Mystery Magazine, as well as a number of Anthologies since 1990. His stories have been nominated for SHAMUS, Barry, and Derringer Awards and "Ibraham's Eyes" was the Reader's Choice Award for 2007. His story "Tomorrow's Dead" was a finalist for the EDGAR AWARD for Best Short Story of 2011. David Edgerley Gates: has been nominated for the SHAMUS, the EDGAR (twice) and the International Thriller Writers Award. Roswell Award for Short Fiction Finalist 2015 for "Cardiopulmonary Arrest." Year's Best Science Fiction, Honorable Mentions for "Iron Mask," "Growing up Sam," and "Waiting for Jenny Rex." Melissa has also won Creative Writing contests and Best First Chapter of a Novel in 2008 and second place for Writers of the Future and won McMaster University "Unearthly Love Affair" writing contest. Melodie Campbell: is the winner of nine awards: 2014 ARTHUR ELLIS award for (novella) The Goddaughter's Revenge. which also won the 2014 Derringer. Finalist for 2014 ARTHUR ELLIS award for "Hook, Line and Sinker" and this story also won the Northwest Journal short story. Finalist for 2013 ARTHUR ELLIS award for "Life Without George." which took second prize in Arts Hamilton national short fiction. Finalist 2012 ARTHUR ELLIS award for "The Perfect Mark" which also won the Derringer award. Winner 2011 Holiday Short Story Contest for "Blue Satin and Love." Finalist for 2008 Arts Hamilton award for national short fiction for "Santa Baby." Third Prize 2006 Bony Pete Short Story contest "School for Burgulars"
Third Prize 1989 Canadian Living Magazine, Romance Story "Jive Talk." Melodie is also a finalist for the Arthur Ellis Award for best short story for 2015 which will be announced on May 28th. Nominated for the Derringer Award for "The Little Nogai Boy" in 2011. Won the mccavity award along with my co-editor Dr. Dean James for Deadly Women for Best Non-fiction. Won the Anthony Award for Best Short Story, 1998 for "A Front-Row Seat" in Vengeance is Hers anthology. Nominated for Anthony for Best First Novel, 2001 for Austin City Blue. Jan will receive the Sage Award from the Barbara Burnet Smith Aspiring Writers Foundation on May 17. This award is for mentoring aspiring writers. We all have to admit, our SleuthSayer authors are a multi-talented group. On this Mother's Day, one little personal note, my mother, PeeWee Pierce and my bonus mom, Ann T. Barrow, both taught me to be a strong, independent, caring woman and I was blessed to have them in my life and I still miss them. Both were able to read some of my published work and I'm glad they were.